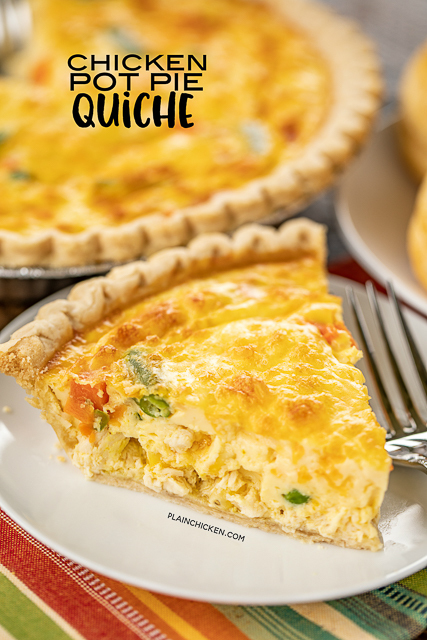 This Chicken Pot Pie Quiche is comfort food at its best! 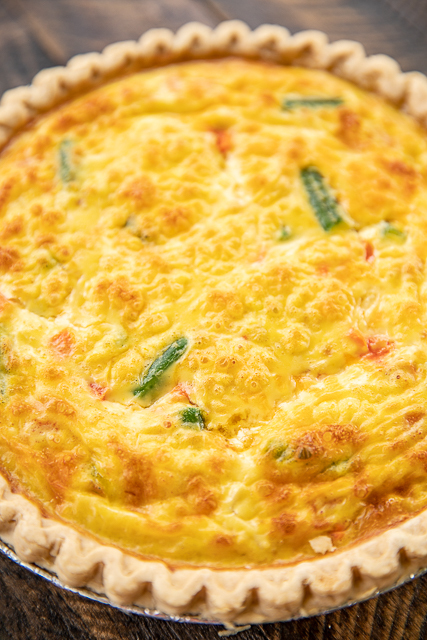 Quiche is one of our favorite meals. Chicken Legs is always requesting it for lunch or dinner. 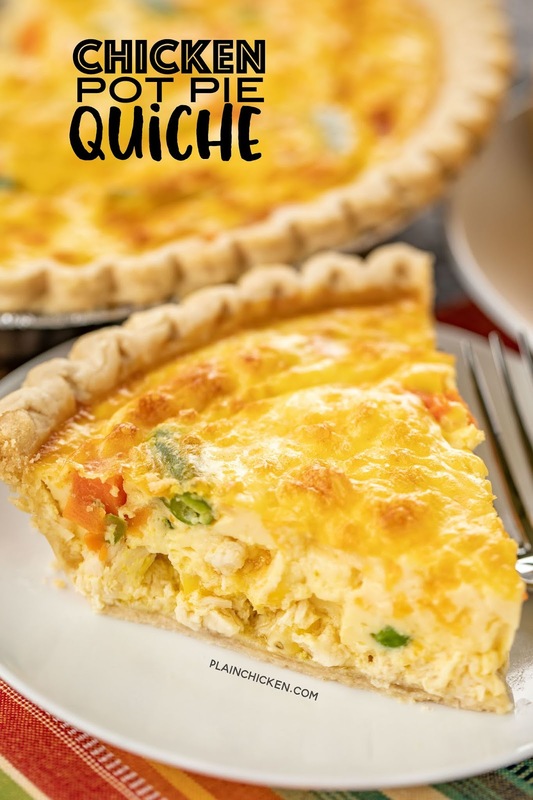 Since we love quiche, I'm always thinking of new flavor combinations to try out. I was craving chicken pot pie, so I decided to give it a try in quiche form. WOW!! SO good!! We ate this for lunch and dinner the same night. 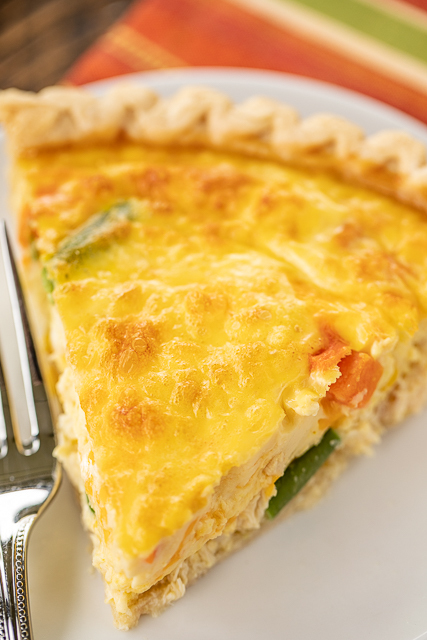 This Chicken Pot Pie Quiche is unique in that it has a can of cream of chicken soup in the egg mixture. I know it sounds weird, but the soup makes a delicious quiche. You just have to trust me on this. I promise it is wonderful! 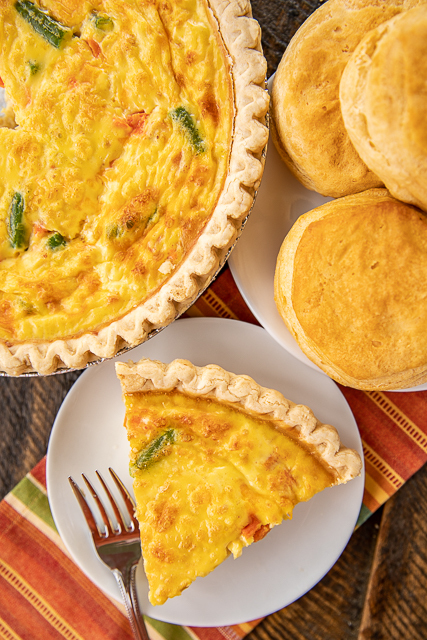 We served this Chicken Pot Pie Quiche with some biscuits. YUM! You canmake this ahead of time and freeze unbaked for later. Woohoo!! Give this a try for brunch, lunch or dinner. You might want to double the recipe. This doesn't last long! Spread chicken and vegetables in bottom of frozen pie crust. Top with cheese. Whisk together eggs, cream of chicken soup and milk. Pour over cheese. Bake for 50-60 minutes, until center is set. Just wondering about making ahead and freezing for later. Isee that it can be done, but no instructions. Thanks!